As you likely know, Tiger Woods was in an accident under apparently mysterious circumstances early Friday morning. Predictably, the reports and reactions thereto pertaining varied somewhat in quality and timeliness, and predictably, this has led to paroxysms of futurist glee in some and sullen condemnation by others. Now that the smoke has cleared, we can examine the event, which is certainly worth a little inspection despite its obvious triviality, with a little perspective. I’m not going to speculate on Woods’ injuries, the cause of the crash, or rumors of fights and affairs. I don’t care, personally. But how the information proliferated makes for interesting dissection. And the fun part is that there’s something for everybody’s agenda! Many will choose to ignore or emphasize unduly one party’s role in this drama, but the fact is that it very neatly exposes both the strengths and weaknesses of both traditional and so-called new media. I hope you’re sitting comfortably. Thus far fact. Now, you recall the headline: real time, real discussion, real reporting — choose two. My idea, which that punchy little epigram roughly approximates, is that there is only so much a given source of information can provide, and that if it has certain attributes, it by definition cannot have certain others (with exceptions, of course). Don’t get me wrong, however: each source is valuable, but we must be careful not to assign one qualities it does not possess. Since this is a blog ostensibly covering tech and Web 2.0, we should probably talk about Twitter first. MG has already lionized Twitter in this affair, and rightly so. It deserves a pat on the back for doing admirably what it was made to do: propagate a meme as quickly as possible. However, his stronger assertion that Twitter is the real time web’s Walter Cronkite warrants a dissenting response, though I don’t think it is, as some suggested, an insult to the late, great journalist so much as a mischaracterization of Twitter. Twitter’s mode of operation is a lot like that of fire. A spark is struck elsewhere; in this case (and, let’s be honest, in many cases) it is a piece of celebrity gossip. Whether it catches and spreads, and how fast it does so depend on the conditions. This particular spark landed in a bed of tinder and flared up almost instantly. The fact that the entire story (such as it was then) could be contained in 140 characters helped, of course. Its spread was practically instantaneous. But that’s where Twitter’s role ends. Consider that local TV news was on the scene quickly enough to take pictures of the accident site before the car was towed, though these were likely not widely reported because at the time, a statement had yet to be released. This kind of coverage is obviously impossible for a decentralized news mechanism like Twitter or Google News. Yet it is the source for a large proportion of the coverage which spreads via those mechanisms. Before a fire can spread, it must be started. And it is very rare that Twitter starts any fires. A legitimate objection to this idea is that of citizen journalism. Hasn’t Twitter enabled Iranians to broadcast their discontent? Wouldn’t it be handy in an emergency situation, provided it was accessible? To some extent, yes. But in the first case, what reason is there to think, even taking into account how well it was applied in Iran, that Twitter is somehow immune to censorship or outright ban? It’s new, is all, and once someone in charge takes it seriously enough to decide it must be stifled, you can be sure Twitter will have no further use there. An earthquake situation provides a better opportunity for Twitter to be used by itself to report; tweets from around the city saying “gas main broken at 13th and Pine” or the like could certainly be of use to a fire department. It’s questionable, however, whether a hashtag could reliably be established in good time, whether the authorities would be able or willing to sort through the noise, and whether such content as could be found would be capable of being transmitted to those who need it. Still, I’m happy to admit its possible utility in such a situation. The question, really, is whether one has valuable information to report. If so, then for a moment, one becomes a reporter. And that information is welcome, if it can get where it needs to be. But the truth is that the bulk of users rarely have content to contribute; their role is promotion and discussion. Compare this to a journalist, who makes it his business to either be present at or go immediately to wherever news occurring, then broadcast it via established methods and outlets. More on them later. Lastly, it’s troubling that what news is spread depends on the population at large. This is more of a personal objection. I have commented that Twitter is the perfect vessel with which to sate the public’s appetite for sensational minutiae. What spreads on Twitter is what’s popular, not what’s important. The last few years have been calamitous for mainstream news integrity for several reasons, but among them is the increasing emphasis on color stories and special interest news, which Twitter seems tailor-made to propagate. This is also the reason why Twitter is not Walter Cronkite. Cronkite may have worked in real time, and he may have reported unconfirmed information, but the reason he was trusted to do so was because he was the exact opposite of Twitter. His personal discretion and experience made him a trusted individual. Wisdom is not arrived at by consensus, nor the truth, no matter if ten people weigh in or a thousand. No synthesis of opinion or automated sifting of information is a replacement for a discerning, informed, and familiar human being. The mainstream (i.e. broadcast) media is supposed to be formed of such human beings. This is, of course, not the case. However, that does not mean the model is broken. The companies comprising it — that’s another matter. The current deplorable state of mainstream news is more, if I may venture a guess, due to a continued financial investment in an obsolete ratings and advertising structure than any real decay of principle. Or rather, the only principle that is really decayed is the networks’ independence from private money. The BBC presents a partial solution in a state-sponsored network, but private bankrolling is simply replaced by public, but that’s not an ideal solution to say the least. I don’t have a better proposal, but I’m happy to point the finger, and our mainstream journalists aren’t doing a hell of a lot of journalism. That said, the mainstream media were the first on the scene at Woods’ house, and the fact is they will always be the first on the scene. What would Google News or Twitter aggregate if there was no journalist there in the first place? Citizen reporting can only go so far; the idea of a completely decentralized press is hopelessly naive. 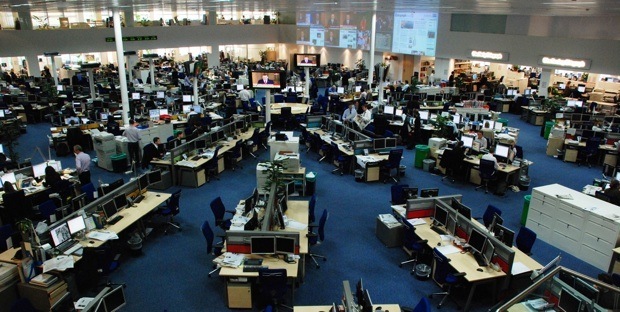 Access to the public’s information is increasingly important, but there will always be someone, many people in fact, whose job it is to work at something that, if it’s not a local news station, will look a hell of a lot like one. What will be the source for firsthand news if we don’t have a journalist class? Local news teams, mainstream media at their most mainstream, are the only ones with the experience, the resources, and the staff to cover anything of magnitude. Doubt that? Don’t confuse the death of traditional media distribution with the death of traditional media. The former is happening; the latter is an illusion. What the mainstream and local media lack is scope and perspective. Imagine a thousand little rooms, each with its own goings-on and a person broadcasting live from each one. They see what’s around them and report it, but their scope is limited. Their first responsibility is to their “room,” their community — hence their journalistic myopia. They know they can’t cover everything in the world, but they don’t have to. Because the world relies upon them when something like this Woods incident occurs in their vicinity. It’s centralized decentralization. What’s left is the news you read the next day in the newspaper — or, really, the next hour on CNN.com or BBC News. These, the most traditional forms of media of all (essentially newsprint or a virtualized version thereof), provide comparatively complete, one-stop reporting and analysis of the event in question. I don’t mean to suggest that the AP, New York Times, or other article outlets are infallible, far from it. But they provide the perspective and context that Twitter (or your favorite social news aggregator) and broadcast news usually lack — and from individuals that have an interest in accurate reporting. Of course, this comes at a cost of timeliness, which may or may not be critical. Obviously newspapers are having a lot of trouble, and the herd is being thinned, but delayed media (my term), whether distributed as inky tree pulp or otherwise, will continue to have a place in the party. The skills of newspapermen are still required, whether you like it or not, and will be for a long time to come. Think of the recent story in which President Obama bowed to the Japanese Emperor when visiting that country. Twitter could alert instantly you to the fact that this event occurred, but little more, and only if you’re glued to it. Mainstream media will be the source for the story and video, but is capable of only basic commentary. Delayed media would give you the event, the reactions, the context, and anything more required to make a complete story — but not for at least a few hours. Which of these methods you use depends on your profession, location, age, and a hundred other factors. Whether such trade-offs as each offers are welcome to you is a personal decision — but it’s unwise to write off a category altogether (as I catch myself doing with Twitter). To use one and not another may forgo or convey an advantage in some situations, but none embodies every aspect of news — content, promptness, and analysis. Nor will any of the three worlds of information distribution go down without their essence being absorbed, Mega Man-like, into the being of the others. 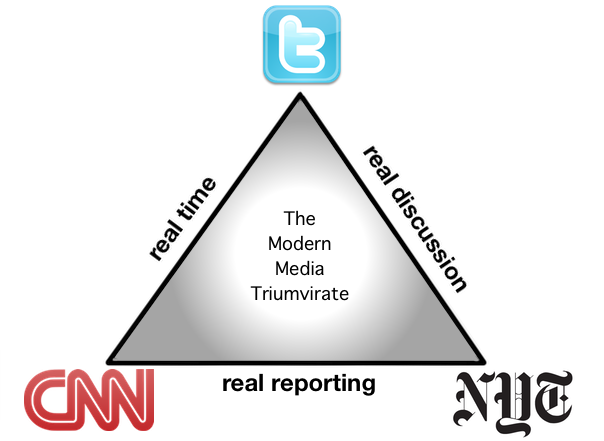 Will Twitter wither without the substantial content of delayed media? Not likely. Will delayed media croak if it doesn’t learn some lessons from Twitter? A little more likely, but that lesson is being learned. Will mainstream and broadcast media go extinct? Not for decades, though they will certainly have some adaptation to do. According to the best accounts which I have been able to obtain, this Chimaera was nearly, if not quite, the ugliest and most poisonous creature, and the strangest and unaccountablest, and the hardest to fight with, and the most difficult to run away from, that ever came out of the earth’s inside. It had a tail like a boa-constrictor; its body was like I do not care what; and it had three separate heads, one of which was a lion’s, the second a goat’s, and the third an abominably great snake’s. And a hot blast of fire came flaming out of each of its three mouths! Being an earthly monster, I doubt whether it had any wings; but, wings or no, it ran like a goat and a lion, and wriggled along like a serpent, and thus contrived to make about as much speed as all the three together. That sounds about right! Now, if you can stomach the unbearable pretension of likening of the complex media world to a monster (be grateful I didn’t quote Lovecraft), you can see that it is unlikely that one head will just up and consume the other, though they may quarrel and gnaw on one another frequently. One significant difference: while the creature Hawthorne described combines the speed of all three, the present media finds itself limited by its own strengths. There is no popular discussion that does not cause sensationalism, for instance, and there is no expert inspection that does not cause delay. The nature of the beast, however, does change over time, and you may safely lay your bets on Twitter (social media in general, really — any “real time discussion”) being an important (but limited) part of it. Finally: blogs are the real wild card here. The issue is that they qualify for each category but aren’t fundamentally limited to any — which makes them both versatile and unreliable. This blog, for example, has pieces that fall under every category: tweet-like posts about some Apple rumor, rehashes of press releases, and interminable editorials like the one you’re just about to finish. 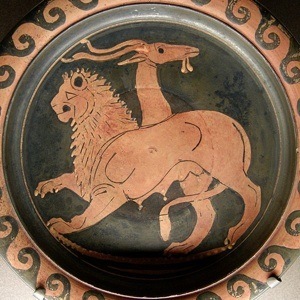 Yes, the credibility (and readability) of the blogosphere is still questioned, puzzlingly enough, but who knows — the Chimaera may grow a fourth head yet.